Scholars from North Korea and China recently held a forum where they remain at odds over whether the isolated North could attract foreign investors and protect them, according to state-run Chinese media. North Korean scholars insisted that their country offer a raft of legal and financial incentives for foreign investors, but Chinese scholars raised doubts over the North’s efforts, as it is under U.N. sanctions over its nuclear and missile programs. The three-day forum, held in the Chinese border city of Yanji, ended on Sunday, state-run Global Times newspaper reported on Tuesday. Paik Il-sung, a legal professor at North Korea’s Kim Il-sung University, said that the North’s laws protect the property rights of foreign investors. Even if the rights of foreign investors undermine North Korea’s national interests, an “unavoidable confiscation” of their property would be carried out in accordance to laws, Paik said. Choe Su-gwang, an economics professor at the North Korean university, said that North Korea allows foreign investors to arbitrate conflicts with the state throughout an arbitration panel. Besides geopolitical risks, poor infrastructure was cited by Chinese scholars as one of main reasons for deterring foreign investment in North Korea. Lin Jinshu, a professor from China’s Yanbian University, said China intends to build infrastructure in the North’s Rason special economic zone, but a lack of relevant accords prevents Chinese investors from doing so. Rason was designated by North Korea as a free trade zone in 1991, but efforts by the North to bring life to the zone have failed amid geopolitical concerns. A monthly usage fee for the Internet in the Rason economic zone is 7,000 yuan (about US$1,089), but the Internet there is slow as a “turtle’s pace,” Lin told the forum. Zhang Huizhi, a professor at China’s Jilin University, also raised the question how North Korea could protect property rights of foreign investors in the event of a war. Aside from the comment about an arbitration panel, it is notable that the emphasis by the North Korean side of the discussion, at least as reported in this piece, lies very heavily on legal text. It’s enough if written laws are good, seems to be the attitude, which is of course not the way most potential investors see things. The previous law already had regulations about exemption of transaction taxes but nothing on business tax. The foreign investment company and foreigner tax law regulated that two to ten percent of profit to be paid by the foreign companies in service and construction sectors. While the prior law stated, “tax exemption will be provided for the first year for income tax on those businesses over ten years old, and 50 percent exemption will be given in the next two years,” the “50 percent limit” was omitted in the amended legislation. On February 10, the KCNA announced that the Foreign Investment Company Registration Law, Foreign Investment Company and Foreigner Tax Law, and Foreign Investment Company Bankruptcy Law were amended. In reference to the ordinance of the Supreme People’s Assembly Standing Committee signed on December 21, 2011, provided that this law consisted of 6 chapters and 34 articles with specifics on business establishment, address, tax, and tariff registrations. However, no other details were given. On January 30, the KCNA also reported the “Labor Law of Foreign Investment Company” was amended and supplemented. This law consists of 8 chapters and 51 articles on hiring and labor contracts, rest, protection, social insurance, and security. In addition, the “Financial Management Law of Foreign Investment Company” and “Fiscal Law of Foreign Investment Company,” was also modified. However, no other details were provided. The KCNA has reported that North Korea modified foreign investment laws previously in 1992, 1999, and 2004. This year marks the fourth amendment. The news elaborated, “The DPRK is encouraging foreign companies to investment in our country based on complete equality and reciprocity and will not nationalize or collect the invested asset,” reiterating the safety and security of foreign investment. Some analyze the recent amendment as an effort to attract more foreign investment into the country. Similarly, North Korea has recently announced the Special Economic Zone Act for the development of Hwanggumpyong and Wiwha Islands. In addition, the state-run Academy of Social Sciences published a newsletter emphasizing the rational tax investigation for foreign companies. On February 10th, Choson Central News Agency (KCNA) reported fresh amendments to North Korea’s laws governing foreign investment. As is ordinarily the case, specific amendments were not included in the report. On February 9th, North Korea also announced revisions to its Foreign Investment Bank Law issuing exemptions from consumption tax. Last month also saw revisions to banking as well as labor and financial management laws. The amendments appear aimed at assuaging the fears of Chinese enterprises over issues such as the threat of expropriation. Indeed, China is said to have last month rejected initial laws governing the management of special economic zones at Hwanggeumpyeong and Wihwa Island nr. Shinuiju for a variety of reasons. China has reportedly agreed to provide electricity to the Rason special economic zone, and the minimum wage investors can expect to pay the North Korean government to employ North Korean citizens qill be approximately US$80. China has agreed to provide electricity to a special economic zone in North Korea’s northeast, a source said Tuesday. The agreement to provide power to the Rason economic zone was signed between Jang Song-thaek, vice chairman of the North’s powerful National Defense Commission, and China’s Commerce Minister Chen Deming, during an economic meeting on June 8, the source said. The source cited Chinese officials familiar with the project. The project calls for laying high-voltage power distribution lines between the Chinese border city of Hunchun and the North’s city of Rajin as well as building a thermal power plant in Rason, the source said. Construction for the power lines is likely to begin soon while the two sides are in talks to work out details for the envisioned power plant, the source said. The minimum monthly wage for workers at a North Korean special economic zone has been set at US$80, a source familiar with the reclusive state said Thursday, a small enough sum that could attract Chinese firms to invest there. North Korea designated Rason as a special economic zone in 1991 with the aim of developing it into a regional transportation hub. Amid few signs of progress, the country broke ground in June on a joint project to develop it into an economic and trade zone with China. The northeastern port city borders both China and Russia. “According to a booklet I obtained on the tax policy of the Rason economic and trade zone, the minimum monthly wage for workers is $80,” said the source, who spoke on the condition of anonymity. Under a North Korean law for the Rason economic zone, revised in January last year, the minimum monthly wage for local employees at foreign firms is set jointly by the employer and the municipal authorities. The amount is higher than the $63.814 recently set as the minimum wage for North Korean workers at the inter-Korean industrial park in Kaesong, the North’s western city bordering South Korea, but less than the average salary of Chinese workers. According to the South’s state-run Korea Trade-Investment Promotion Agency (KOTRA), Chinese workers are paid a minimum of $167 per month. Experts say this wage gap could attract Chinese investors to Rason, as they have already started showing signs of relocating operations to Vietnam, Indonesia and other countries with cheaper labor than China. The booklet also contains details of Rason’s tax policy, including a five-year property tax exemption for buildings purchased through private funds and a corporate income tax rate of up to 14 percent, according to the source. “The booklet was made by Rason’s tax bureau in July-August to introduce foreigners to its tax policy,” the source said. Even as North Korea struggles under UN sanctions and is in the midst of a controversial currency reform aimed at breaking the back of a nascent free market, the reclusive country is apparently in the process of changing laws in order to attract more foreign investment, an expert said Wednesday. It is even offering foreign companies wages cheaper than those paid to North Korean workers at the joint-Korean Kaesong Industrial Complex, according to Jack Pritchard, president of the Korea Economic Institute in Washington D.C.
Pritchard, who visited Pyongyang last month along with Scott Snyder, director of the Center for U.S.-Korea Policy at the Asia Foundation, told reporters in Washington. The North Korean trade department official they met there told them there are no strikes among North Korea’s skilled workers and were very aggressive in luring foreign investment. He added North Korean officials offered wages of 30 euros a month (around US$44), which was lower than the average $57 paid to workers at the Kaesong Industrial Complex. The officials said they were also willing to offer various incentives to foreign companies interested in taking part in the construction of 100,000 homes in Pyongyang. North Korea appeared to be changing its attitude toward foreign countries as part of its goal to become a strong and powerful nation by 2012, he said. Snyder said North Korea’s interest in foreign investment as part of its goal to become a “strong and powerful nation” by 2012 is a new development and one that could play a role in resolving the nuclear stalemate. But efforts to attract foreign investment and capital over the past 25 years have been a disaster. North Korea announced new regulations in September of 1984 to allow businesses from capitalist countries to operate there. It set up special economic zones in Rajin-Songbong in 1991 and in Sinuiju in 2002. But the Sinuiju project never got beyond the ground-breaking stage due to conflict with China, while empty factories litter Rajin-Sonbong. North Korea aimed to attract $7 billion worth of foreign investment into Rajin-Sonbong, but actual investment amounted to only $140 million. According to the South Korean government and other sources, there are an estimated 400 foreign businesses operating in North Korea. Most of them are small businesses run by Chinese or North Korean residents in Japan. The shining exception is the Egyptian telecom company Orascom, which offers mobile phone services in the North. “It’s more accurate to say that there are no major foreign businesses operating in North Korea,” said Cho Dong-ho, a professor at Ewha Woman’s University. North Korea forged its first pact guaranteeing foreign investment with Denmark in September 1996 and signed similar pacts with around 20 countries, including China, Russia, Singapore and Switzerland, as of 2008. There have been consistent reports that businesses in Europe and Southeast Asia were interested in doing business in the North, but hardly any made the move. Cho Myung-chul, a professor at the Korea Institute for International Economic Policy, who taught economics at Kim Il Sung University in North Korea, said, “The reason why no listed foreign companies are operating in North Korea is because they may end up on the list of businesses subject to U.S. sanctions.” This is one of the reasons why North Korea has tried so desperately to be removed from the U.S. list of terrorism-sponsoring countries. And even if foreign businesses are interested in investing in North Korea, its lack of infrastructure, including steady power supply and adequate roads and ports, make it impossible to operate factories there. Cho Young-ki, a professor at Korea University, said, “You have to build a power plant if you want to build a factory in North Korea. Cheap labor does not mean businesses will profit there.” The electricity used by the Kaesong Industrial Complex is provided by South Korea, while Hyundai Asan operates its own generator at the North Korean resort in Mt. Kumgang. Every North Korean seems to have been mobilized for an all-out push to mark their country’s arrival as a “strong and powerful nation” in 2012, which marks the 100th anniversary of Kim Il Sung’s birth, Kim Jong Il’s seventieth birthday, and the thirtieth birthday of Kim Jong Il’s third son and reported successor, Kim Jong-Eun. Pyongyang citizens have cleaned up the city during a 150-day labor campaign, followed by a second 100-day campaign now underway. The Ryugyong Hotel in the middle of Pyongyang, unfinished for over two decades, has been given a facelift courtesy of the Egyptian telecommunications firm Orascom, which expects to have 100,000 mobile phone customers in Pyongyang by the end of the year. But it is still difficult to shake the feeling in Pyongyang that one has walked onto a movie set in between takes. Or that the used car looks good on the outside, but you really don’t know what you might find if you were able to look under the hood or give it a test-drive. North Korean foreign ministry officials saw United Nations condemnation of their April missile launch as an affront to their sovereignty. This is the ostensible reason the North Koreans have walked away from six party talks. Having conducted a second nuclear test, North Korean officials want to be considered as a nuclear power, choosing instead to “magnanimously” set aside nuclear differences in order to focus on the need to eliminate U.S. “hostile policy” by replacing the armistice with a permanent peace settlement. Essentially, Pyongyang’s new offer–as a “nuclear weapons state”–has shifted from the denuclearization for normalization deal at the core of the 2005 Six Party Joint Statement to “peace first; denuclearization, maybe later.” There was no mention of “action for action” by our North Korean interlocutors. A new component of North Korea’s strategy for achieving its economic and infrastructure goals in the run-up to 2012 is its effort to attract investment from overseas. The Director of North Korea’s newly established Foreign Investment Board unveiled a new plan for attracting equity, contractual, and 100% foreign owned joint venture investments. On paper, the rules incorporate provisions for repatriation of profit, generous tax incentives, and a labor rate of thirty Euros per month. This rate undercuts the compensation of $57.50 per month currently offered at the South Korean-invested Kaesong Industrial Zone. Even more generous was the offer of special concessions in North Korea’s natural resources sector for companies willing to build 100,000 units of new housing in Pyongyang that have already been promised in the run-up to 2012. North Korean colleagues at the Ministry of Trade appeared genuinely surprised and dismayed when we mentioned that UN Security Council Resolution 1874, which condemned North Korea’s May 25, 2009, nuclear test, contains provisions prohibiting companies from making new investments in the DPRK. This is all the more unfortunate because on paper, North Korean efforts to open its economy through foreign investment are exactly the course that should be encouraged, and North Korea’s goals for 2012 could be advanced significantly with inward investment from companies that might be willing to take the risk, but the nuclear issue stands in the way. This is not to mention that North Korea’s own economic retrenchment and anti-market policies, including the “currency reforms” announced earlier this week, stretch the credibility of the North Korean government to back up these laws. Recent surveys of Chinese investors suggest few demonstration projects for successful investment in North Korea and a high probability of getting scammed or fleeced on the ground. But the North Korean plea for foreign investment does suggest a potential point of leverage that deserves careful consideration, and that is the possibility of an investment in a strategic commodity that is of special interest to the United States: North Korea’s plutonium stock. During the Clinton administration, former Defense Secretary William Perry led efforts to make similar purchases of nuclear materials from the Ukraine and Kazakhstan, which had inherited stocks of nuclear materials from the breakup of the Soviet Union. These transactions advanced the cause of nuclear non-proliferation by ensuring that these countries would not become nuclear states. A 2004 report of a Task Force on U.S.-Korea Policy co-sponsored by the Center for International Policy and the University of Chicago, also suggested a plutonium “buy-out” proposal for North Korea, despite the obvious moral hazard of appearing to reward North Korea’s bad behavior. Any transaction with North Korea involves moral hazard, and North Korea has already proven that it will sell or sub-contract nuclear materials to the highest bidder. One positive of this approach is that any transaction involving removal of nuclear materials or capabilities from the North would be irreversible, in contrast to past practice of offering irreversible food-aid benefits to North Korea in exchange for participation in multilateral dialogue, but not for irreversible steps toward denuclearization. In a post-9/11, post-North Korean nuclear test world, the Obama administration must find a formula that facilitates North Korea’s irreversible actions on the path toward denuclearization rather than agreeing to half-measures: North Korea’s immediate focus is on gaining the resources necessary to mark 2012 as a year of accomplishment, yet the North has been highly critical of Lee Myung-bak’s “grand bargain” Proposal. Denuclearization needs to be placed on the North Korean agenda as an accomplishment that North Korea will be able to justify as part of its broader 2012 objective of becoming a “strong and prosperous state.” Unless a new formula can be found by which to bring these two objectives into line with each other, it is likely that the United States and North Korea will continue to talk past each other. This Law contributes to encouraging investment by foreign investors in the DPRK and protecting legal rights and interests of foreign-invested businesses. The Law is the basic law relevant to foreign investment. 1. A foreign investor is a corporate body or an individual of a foreign country that invests in the territory of the DPRK. 2. Foreign-invested businesses include foreign-invested enterprises and foreign enterprises. 3. A foreign-invested enterprise stands for an equity or contractual joint venture or a wholly foreign-owned enterprise that are set up in the territory of the DPRK. 4. A foreign enterprise indicates an institution, enterprise, individual or other economic organizations from foreign countries with a source of income in the territory of the DPRK. 5. A contractual joint venture is a form of business activity in which investors from the DPRK and a foreign country jointly invest, the management is assumed by the partner from the host country and, depending on the provisions of the contract, the portion of the investment made by the foreign investor is redeemed or the share of the profits to which the foreign investor is entitled is distributed to him. 6. An equity joint venture is a form of business activity in which investors from the DPRK and from a foreign country invest jointly, operate the business jointly, and profits are distributed to the investors in accordance with the shares of their investment. 7. A wholly foreign-owned enterprise is a business enterprise in which a foreign investor invests and manages on his own account. A foreign investor shall be permitted to set up and operate an equity or contractual joint venture within the territory of the DPRK, and a wholly foreign-owned enterprise in the specified area. The State shall guarantee the legal rights and interests of foreign investors and foreign-invested businesses, as well as the conditions of their management activities. Institutions, enterprises, individuals and other economic bodies of foreign countries shall be permitted to invest within the territory of the DPRK. Overseas Korean compatriots shall also be allowed to invest within the territory of the DPRK, subject to the relevant laws and regulations. A foreign investor shall be allowed to invest in various sectors such as industry, agriculture, construction, transport, telecommunications, science and technology, tourism, commerce and financial services in various forms. The State particularly encourages investment in sectors that introduce modern technologies including the high technology, sectors that produce internationally competitive goods, the sectors of resource development and infrastructure construction, and the sectors of scientific research and technical development. Those foreign-invested enterprises that invest and operate in priority sectors stipulated in the previous Article shall receive preferential treatment, including the reduction of and exemption from income and other taxes, favourable conditions for land use, and the preferential supply of bank loans. 1. No customs duty shall be levied on export and import goods other than those items that are prescribed by the State. 2. For an enterprise in a production sector, no income tax shall be payable for 3 years from the first profitable year and income tax may be reduced by up to 50 per cent for the following 2 years. The rate of income tax shall be 14 per cent, which is lower than in other areas. The State shall ensure that the relevant institutions make convenient the immigration formalities and methods for foreign investors entering or leaving the country with the purpose of setting up or operating business enterprises in the Rason economic and trade zone. A foreign investor may invest in the form of currency, property in kind, industrial property rights, technical know-how and other assets and property rights. The value of assets and property rights invested shall be determined through an agreement between the partners on the basis of the international market prices prevailing at the time of the valuation. Foreign-invested enterprises shall be permitted to open branch offices, agencies or liaison offices and to establish subsidiaries in the DPRK or other countries. They shall also be permitted to conduct joint operations with companies in other countries. Equity or contractual joint venture enterprises and wholly foreign-owned enterprises shall become corporate bodies of the DPRK. Foreign enterprises and their branches, agencies and liaison offices that are set up within the territory of the DPRK shall not become corporate bodies of the DPRK. The State shall lease the land required for foreign investors and the establishment of foreign-invested enterprises for a maximum period of 50 years. Land so leased may be transferred or inherited during the period of lease with an approval of the relevant organ. A foreign-invested business shall employ its labour force from the host country. Managerial personnel, technicians and skilled workers for special jobs that are prescribed in the contract may be employed from abroad in agreement with the central trade guidance organ. Labour force of the DPRK shall be employed or dismissed according to a contract made with the relevant labour service agency. Foreign investors and relevant foreign-invested businesses shall pay income tax, turnover tax, property tax and other taxes. Foreign investors shall be permitted to reinvest the whole or part of their profit within the territory of the DPRK. In such cases the whole or part of the income tax already paid on the reinvested portion may be refunded. Foreign-invested enterprises and assets invested by foreign investors shall not be subject to nationalization or seizure by the State. Should unavoidable circumstances make it necessary to nationalize or seize such enterprises and assets, fair compensation shall be paid. Legal profit and other incomes earned by a foreign investor in its business may be remitted abroad, subject to the laws and regulations of the DPRK relating to foreign exchange control. The State shall protect by law the business secrets of foreign-invested enterprises and shall not disclose them without the consent of the foreign investor. Any disagreement concerning foreign investment shall be settled through consultation. In case of failure in consultation, it shall be settled by arbitration or legal procedures provided by the DPRK or may be brought to an arbitration agency in a third country for settlement. Article 8 of the Law of the Democratic People’s Republic of Korea on Foreign Investment specifies that the foreign-invested enterprises that invest and operate in priority sectors shall receive preferential treatment, including the reduction of and exemption from income and other taxes, favourable conditions for land use, and preferential supply of bank loans. In accordance with the law, the DPRK government grants such preferential treatment as the reduction of and exemption from taxes and favourable conditions for land use to foreign-invested enterprises that invest in priority sectors, enterprises that are established and operated with the investment by overseas Koreans with the citizenship of the DPRK and foreign-invested enterprises that are operated in the special economic zone. Preferential treatment in the rate of enterprise income tax is as follows. -Tax may not be imposed on the dividends earned by a foreign-invested enterprise through business activities inside the DPRK. 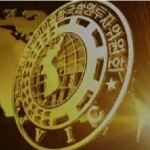 – In case the government of a foreign country or an international financial organization grants loans to the government of the DPRK or a State bank, or in case a foreign-invested bank gives loans to a bank or an enterprise of the DPRK on favourable terms such as low interest rates (lower than the LIBOR) and the return period of at least 10 years including a grace period, the enterprise income tax on the interest on the loan may be exempted. -The foreign-invested business which operates for at least 10 years either in the priority sectors or in the manufacturing sectors inside the Rason economic and trade zone may receive immunity from enterprise income tax for 3 years from the first profit-making year and reduction of up to 50 per cent during the two ensuing years. Enterprise income tax may be exempted or reduced on an income earned by a financial business through offshore banking transactions. -For a foreign-invested business that makes a total investment of at least 4 500 000 000 won in infrastructure construction projects such as railways, roads, telecommunications, airports and seaports inside the Rason economic and trade zone, enterprise income tax may be exempted for 4 years from the first profit-making year and reduced up to 50 per cent during the three ensuing years. You are currently browsing the archives for the Law on Foreign Investment category.